« So what are those headlines with no content about ? Enough is said in their facebook piece so I see no need to expand on it just now. I’m not saying HMV doesn’t need consignment and better prices than before. They almost certainly do. What I am saying is if HMV need those terms then clearly so do independents and to give one side such an advantage creates an inequality not seen since the Amazon VAT dodging days and we all know how that turned out ! Since Coda’s comments I’ve been asked by customers why others haven’t said anything and been told by “the powers that be” that unless others speak up nothing can be done. Why nothing is being said has caused much speculation. My own conspiracy theory is that the music industry is now so London biased that they are adopting a “we’re alright jack” approach. London in-stores, sometimes two a day, at least give people a reason to visit and I’ve even heard rumours that record company reps actually visit shops and try to sell them things. 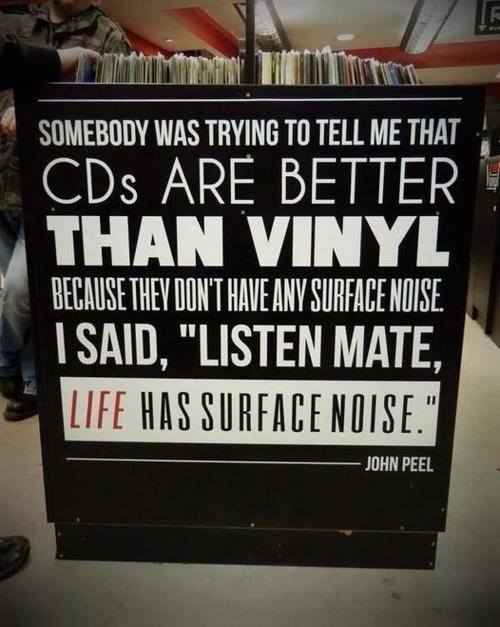 We already fight the good fight in Edinburgh and Glasgow with both FOPPs and HMVs to contend with but even those with only an HMV to worry about will eventually start to suffer when they can fill their racks with as much vinyl as they wish with no need to worry about actually paying for it. Anyway I felt that Coda should not stand alone so I’ve said my bit too. I googled “HMV level playing field” and the pic above was the first in line which was a massive coincidence as I had tweeted that very pic just yesterday in a completely unrelated matter.